The aim of this study was to investigate the protective effects of neuregulin-1β (NRG-1β) on sepsis-induced diaphragm atrophy and the possible underlying mechanisms. Sprague–Dawley rats were randomly divided into sham, sepsis and NRG groups. Sepsis was induced by cecal ligation and puncture (CLP). In the NRG group, rats received tail vein injections of NRG-1β (10 μg/kg) every 12 h for 72 h after CLP. At 3 days after surgery, diaphragm contractile forces were measured by determining the force-frequency curve and muscle fiber areas by hematoxylin–eosin staining. Moreover, the NRG-1 expression level in the diaphragm was detected by Western blotting. Furthermore, the proteins in the PI3K/Akt signaling pathway and its downstream Akt-mTOR and Akt-FOXO axes were detected by Western blotting analysis. In L6 myotubes treated with lipopolysaccharide (LPS) and NRG-1β, PI3K/Akt signaling pathway-related protein expression was further determined using the PI3K inhibitor LY294002. 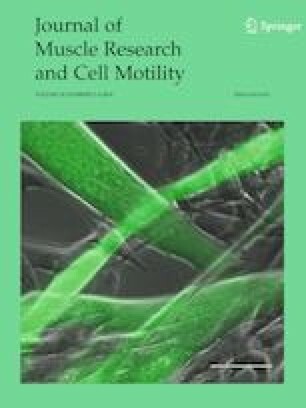 Exogenous NRG-1β could compensate for sepsis-induced diminished NRG-1 in the diaphragm and attenuate the reduction in diaphragm contractile forces and muscle fiber areas during sepsis. Moreover, NRG-1β treatment could activate the PI3K/Akt signaling pathway in the diaphragm during sepsis. The inhibition of p70S6K and 4E-BP1 on the Akt-mTOR axis and the increased expression of Murf1 on the Akt-FOXO axis were reversed after NRG-1 treatment. In addition, NRG-1β could activate the PI3K/Akt signaling pathway in L6 myotubes treated with LPS, while the PI3K inhibitor LY294002 blocked the effects of NRG-1β. NRG-1 expression in the diaphragm was reduced during sepsis, and exogenously administered recombinant human NRG-1β could attenuate sepsis-induced diaphragm atrophy by activating the PI3K/Akt signaling pathway. Jin Wu and Hua Liu have contributed equally to this work. This study was supported by the Introduction Program of High-Level Innovation and Entrepreneurship Talents in Jiangsu Province (2018) and the Scientific Research Foundation of Affiliated Hospital of Jiangsu University (jdfyRC2017008). Jin Wu, Hua Liu, Ting Chu, Peng Jiang and Shi-tong Li declare that they have no conflict of interest.